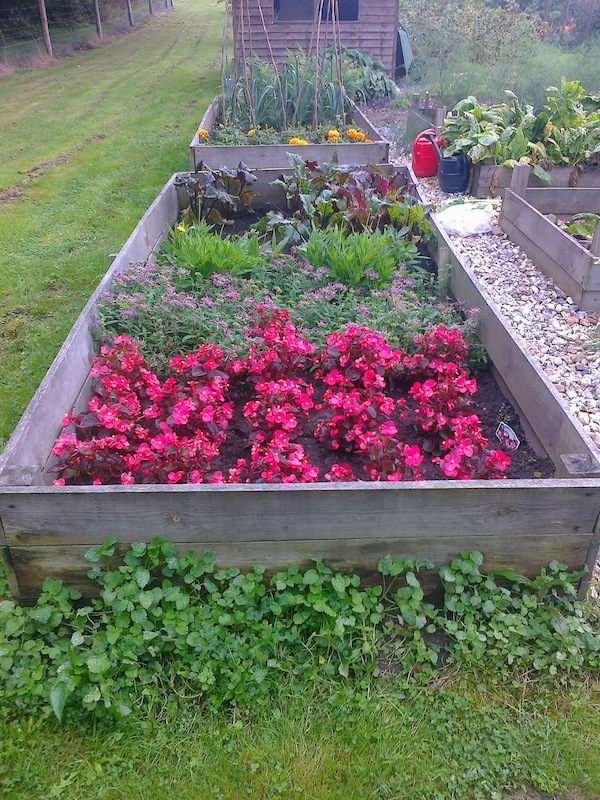 The allotment looks pretty good today – it rained a lot during the week so there was no need to do any watering. 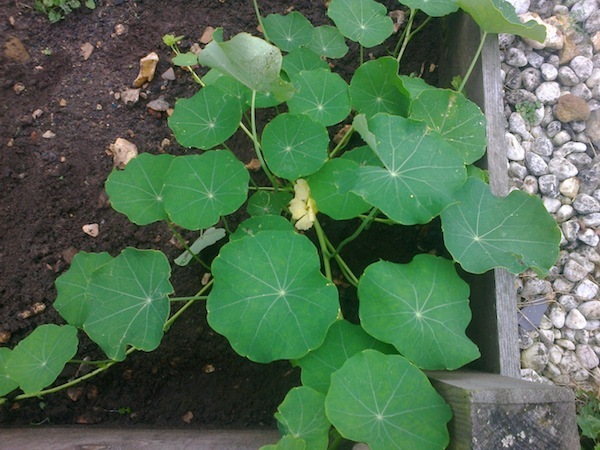 Instead we weeded the beds and gathered a small harvest. 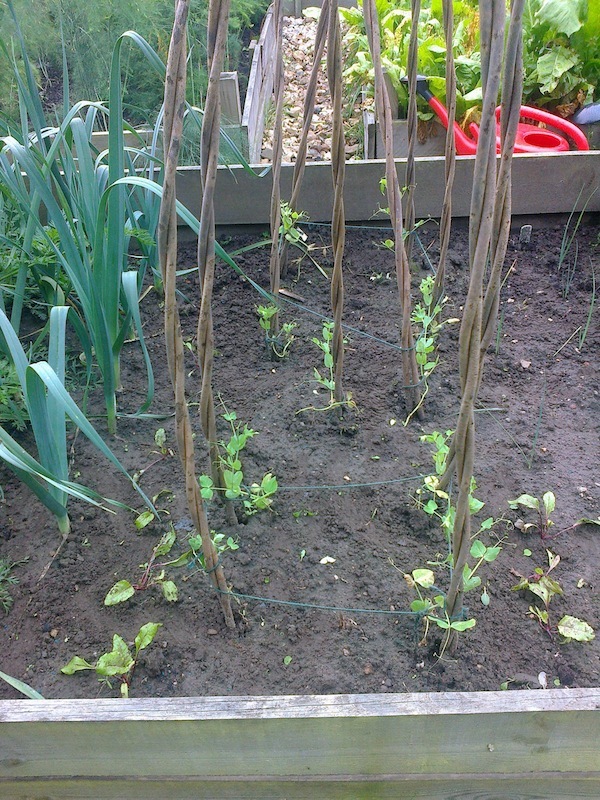 Much to our amazement the peas which are supposed to blossom in spring are already in flower and there are even two small pea pods on them. K harvested those, and took the rest of the flowers off. It seemed to be the most sensible thing to do. 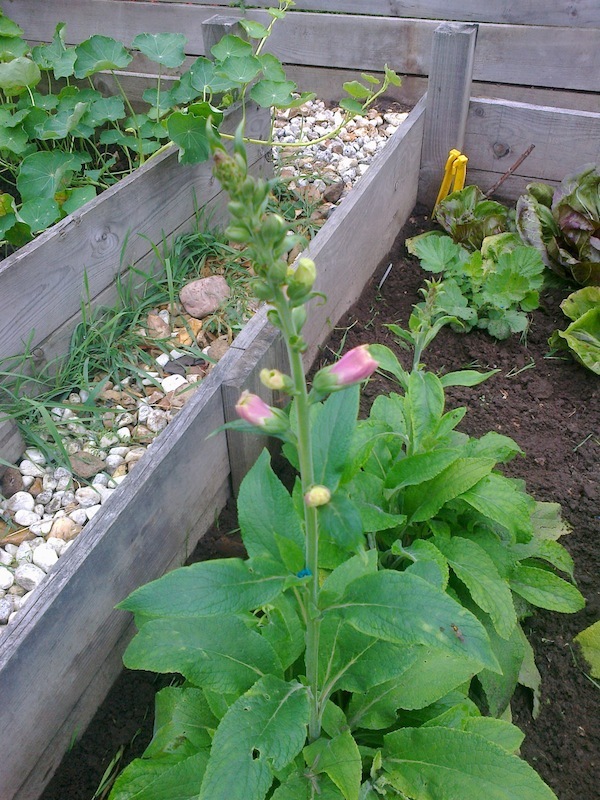 In the meantime, the foxgloves are growing apace, so we may get a few cut flowers out of these before the season is over. 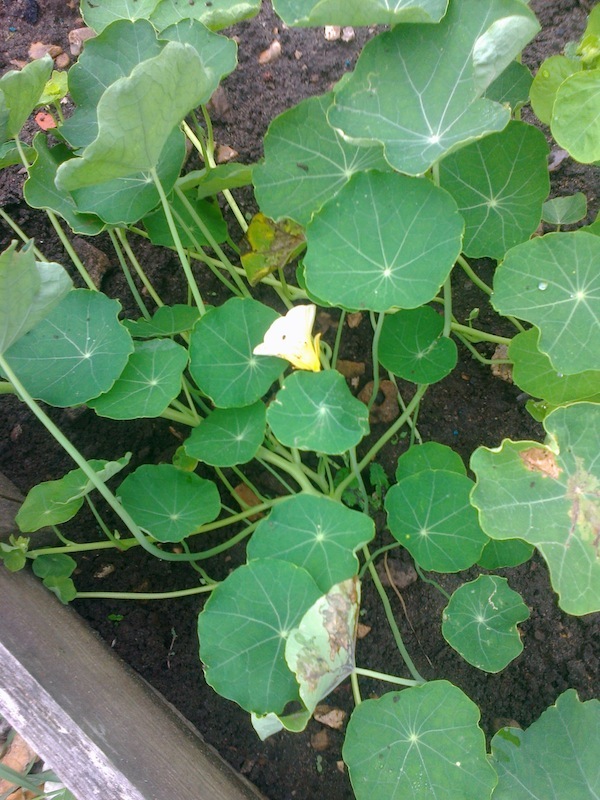 And the nasturtiums look amazing! 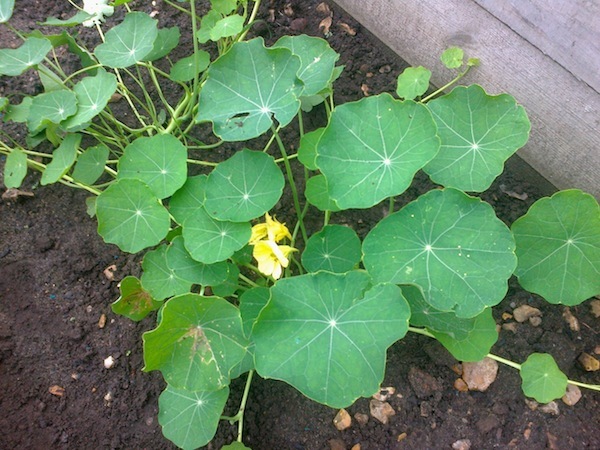 However, the main mystery of the week is the everlasting spinach. I’ve been harvesting it regularly since we got the allotment, but today K decided to cut some of it down for the autumn. Um, apparently, not all of it is spinach after all! It’s actually … um … celery. Well, there’s a turn-up for the books. 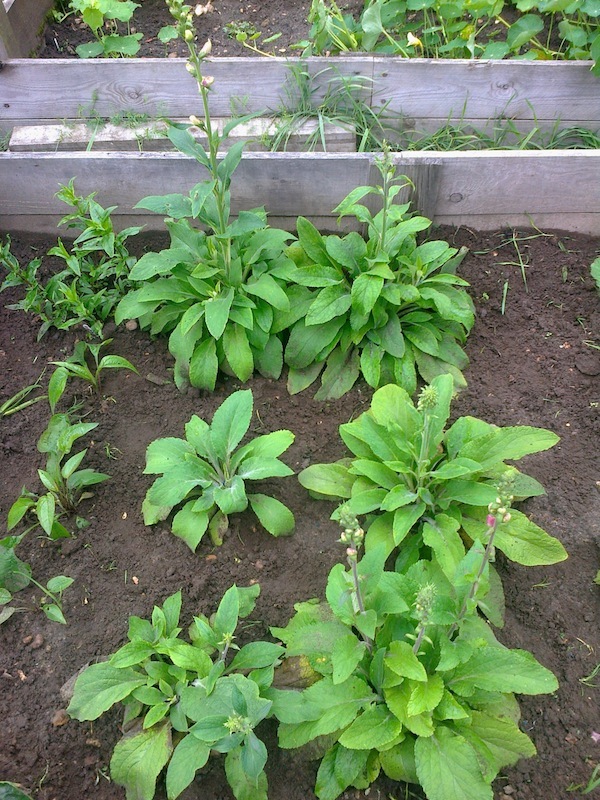 So possibly, a lot of what we’ve been eating is not spinach leaf but celery leaf, hey ho. We hang our heads in shame, eh!… Anyway, we’ve harvested some celery (proper) and will treat ourselves to it tomorrow. 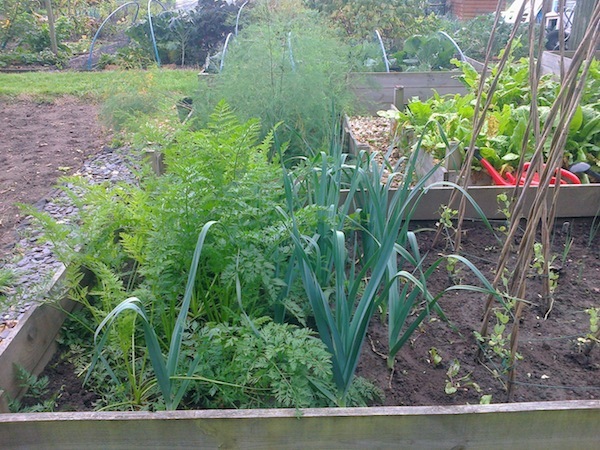 Earlier, in the week, K also harvested a small amount of carrot, leek and beetroot – so lunch will be soup. K is the soup expert, so it will be good. 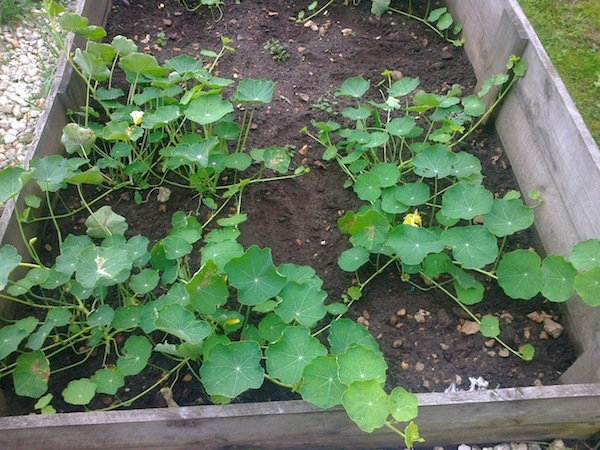 Categories: Allotments | Tags: carrots, celery, foxgloves, harvest, leeks, nasturtiums, peas, soup, spinach, weeding | Permalink.